OMG! My first Artisan post!!! I am still in disbelief that my dream has come true, and that I get to share what I love with you alongside some super talented ladies! We will be hopping every Thursday, and there are sixteen of us on this hop, so be sure to click the next button at the bottom to visit everyone. (If you are new to my blog be sure to follow me on your favorite social media platforms by clicking the gray buttons on the right hand side.) Today I want to share with you a little bit of my story about becoming an Artisan. If you have ever read any of my bios, you know that my love of stamping started when I was younger, probably around the age of seven, and that I signed up to be a Stampin' Up! demonstrator as soon as I could. Once I discovered the Artisan Design Team, I knew I had to apply. Last year was the first year I applied for the Artisan Design Team and was beyond shocked to find out that I was a finalist! I never even expected that much recognition for something that I just love to do! Every year around this time, my upline holds a day long retreat for her team. There she encourages us to set goals for the upcoming year. Last year, my one goal was to be on the Artisan Design Team, not a finalist but on the team. So, I started planning out some projects and worked on developing my blog into something that I loved and was proud of. Then I applied earlier this year, crossed my fingers, and just kept doing what I do. As you may know, I spent a few weeks in Taiwan this last June for a study abroad trip. One morning my mom starts Face Timing me. Now, I still have like 10-20 minutes to sleep and my roommate is still sleeping, so I hung up on her at least five times. Finally, I looked at my phone to see what her deal was, and she had sent me about a gazillion messages telling me to check my email. So I rolled my eyes and checked my email, and there's an email from Stampin' Up! 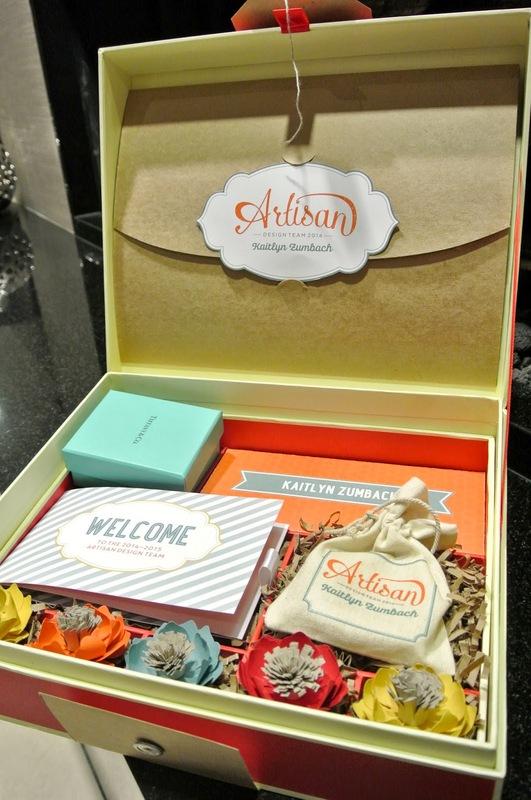 asking me to be apart of the Artisan Design Team!!!!!! My first thoughts were "OMG!!!!!!! This can't be real!!!" (So for those who asked me if I got the call, I didn't, I got an email. ;)) I jumped right out of bed to Face Time my mom back so we could be excited together! I was so excited that I ended up locking myself out of my room and had to wait for my roommate to get up to get back in. It was killer that day not being able to tell anyone, and I don't think I paid much attention in class either. I was already excited for Convention before I found out. So once I found out, Convention couldn't get here fast enough so I could tell everyone! Awards Night was definitely a highlight for me. I just wanted to carry my special box all night. All night at the After Party, people I knew and never met kept coming to congratulate me. They also asked to see the inside of the box, and I gladly showed them. I normally don't like being the center of attention, but I was loving every minute of this! Look how beautiful the inside of that box is! My personalized stamp has already gotten lots of love and the Tiffany bracelet is just absolutely beautiful! I love it all! If that wasn't all enough, my August Artisan box came filled with tons of stuff! And I get one of these each month?!?!?! I feel so spoiled! I still can't believe that I am apart of this amazing team and all I have to do is what I've been doing...making beautiful things and sharing them with you! I dove right into my first box of goodies and made this simple, cute card. The day my box came, my dad asked for a thank you card he could send to a guy who sent him some boat motor parts. It just so happened that I had gotten the perfect stamp set that day. As I was unpacking everything, the idea for this card just kind of popped into my head. 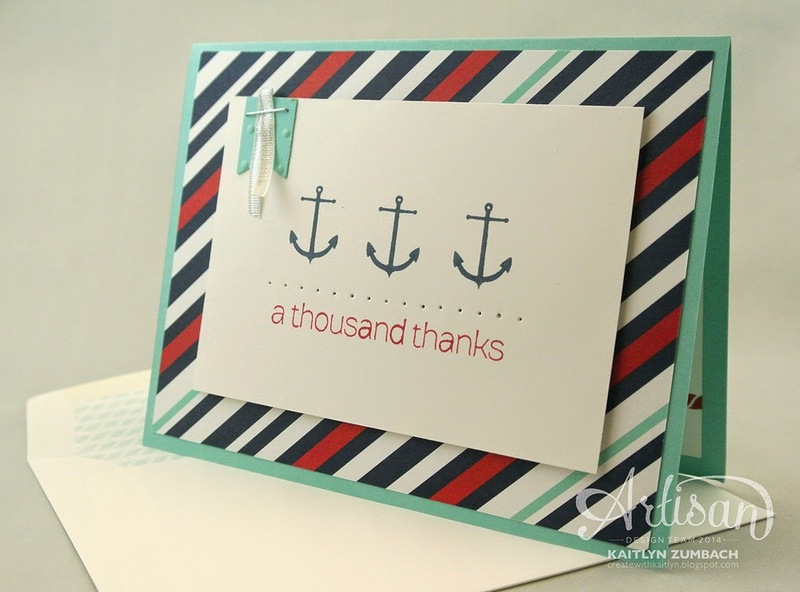 I paired the Sea Street stamp set with the Lots of Thanks stamp set and Maritime Designer Series Paper for a quick and easy card. There aren't any tricks to share with you except that I used my Stamp-A-Ma-Jig to line the anchors up. Simple, fast, and adorable! I know that you don't want to miss anyone else's Artisan story, so click the "Next" button until you have visited everyone! Congratulations ... So proud of you ... Continue to live your dreams ... Love You !!!!!! Oh no! You were away with they called, at least you can always keep the email. I love that you have a photo with the UPS driver. Congrats...love the nautical themed card! I followed your blog for the past year and I was thinking all along...this girl BETTER get Artisan next year! So happy that your dream came true! Congratulations and thanks for sharing your story. Love your card! Your Mom must have been going crazy. Congrats and look forward to the new year. Loved the part about your mom, the picture of you and the UPS guy, and your awesome card! This was absolutely delightful to read. 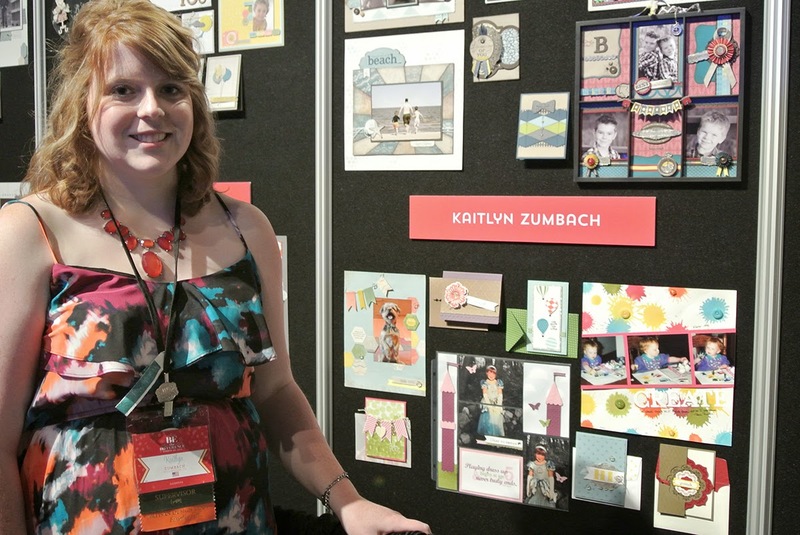 Loved reading your story Kaitlyn, gorgeous nautical card! 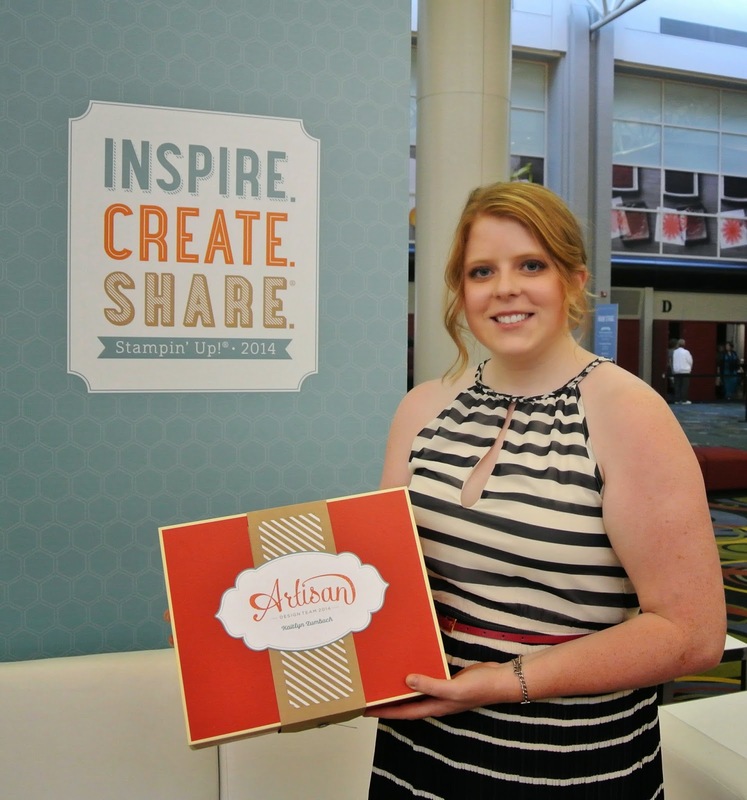 Kaitlyn, I am so excited for you for being selected as part of the 2014 ADT. I look forward to seeing your fabulous creations this year. Yay Kaitlyn! Now we're on two design teams together:) Congrats! Love your fresh clean card! And I love your enthusiasm to jump right in! Oh Kaitlyn, you are so great - I cracked up with the UPS guy photo... I am so happy for you. The real deal. A true Artisan. Enjoy every second. Congrats! So excited for you! Wish I had been there this year to celebrate with you in person!